Welcome to the 2015 Paper Based Advent Book Blog! Day Fourteen bestows on us a historical and literary fiction blending that stirs family tree mysteries; magical goings-on, and savage, serene portrayals of womanhood – all in one triumphant maiden voyage of a first novel: Tiphanie Yanique’s Land of Love and Drowning. In this world of both preserved memory and factual reconstruction, the language mesmerizes and entrances, with all the skill evident in Yanique’s OCM Bocas fiction prizewinning debut, How to Escape From a Leper Colony. The Bradshaw family is the focus of this new book, and the author gifts us sixty years of their astonishing highs and devastating lows, stitching the spaces between conflicting and tumultuous generations with a brand of magical realism uniquely informed by her Virgin Islands setting. Laying claim unpretentiously to the standard of an epic story, Land of Love and Drowning takes us fathoms deep, past shipwrecks and secrets into the heart of an island, discovering itself. We recommend it for: Devotees of magical realism, from García Márquez to Allende to newer voices in the genre; lovers of domestic sagas peppered with high drama; those looking for a kindred read to Edwidge Danticat’s Claire of the Sea Light. The University of the West Indies Press, 2014. Welcome to the 2015 Paper Based Advent Book Blog! Day Eleven’s selection is a novel steeped in Indo-Caribbean cultural ancestries, mingling with the persistent, often dangerous elements of life in the technologically-edged Trinidadian urban environment: Barbara Lalla’s Uncle Brother. Lalla’s newest work is rich with multiple perspectives, conveying a sense of history that’s begun to evanesce in our collective consciousness. Tracing vital lines of Indo-Trinidadian tales of origin, immigration and cultural coalescing, Uncle Brother spans generations, including conflicts both domestic and civic. The author’s scholarship as an eminent linguist stabilizes and seeps into these interlocking segments of duty and devotion: each chapter evidences language’s careful, polished use to create deeply enduring meaning. Uncle Brother himself is unflagging as the story’s larger-than-life, yet eminently believable hero, one for whom family connotes ultimate sacrifice and endeavour. Marble-pitching; kite flying; jaunts to fishing ponds; meetings in village centres and rumshop brawls: these signposts of both childhood and adult living fill Uncle Brother’s pages with a fidelity of remembrance that navigates away from nostalgia, and towards something much more potent: the transcription of authentic experiences, of an entire fading way of life. We sojourn far beyond the lighthouse in this contemplation of what home means: the forest beckons to us, as does the pulse of everyday rural living in parts of Trinidad whose place-names many have lost the facility to pronounce. 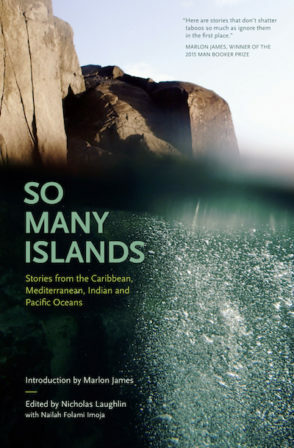 We recommend it for: those seeking to round out their collection of Barbara Lalla’s fiction titles; readers of Lakshmi Persaud and Merle Hodge; seekers of the historical Indo-Trinidadian experience, rendered in thoughtful fiction. 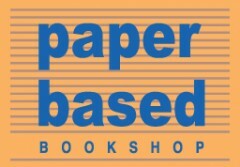 Welcome to the 2015 Paper Based Advent Book Blog! Day Eight of our handpicked selections is a gem — a compact companion of short fiction that’s immense in the crafting of its interior worlds, full of light, memory and music, orchestrated by a master hand: Lawrence Scott’s Leaving by Plane Swimming Back Underwater. Such is Lawrence Scott’s craftsmanship in his newest collection that you might mistake it for sleight of hand – but make no mistake, the symmetry and ineffable majesty in these short stories is real, and so immediate as to be tangible. Whether tackling the shadowy past of Trinidad’s colonial spectres, or lambasting church and state alike in side-slapping picong, doused and flavoured liberally with satirical flourishes, Leaving by Plane Swimming back Underwater is a treasury of experience, musing on faith and its absence with equalizing strokes of conviction. Whether you’re agnostic or avowedly spiritual, you’ll want to hearken to the confessional and shrine of the vistas Scott so lovingly fashions. Penitents and preachers, lonely urchins and lost souls: all manner and make of voices converge on these pages that are a skilfully woven tapestry of past and present, guilt and comfort, desolation and divine grace. We recommend it for: those seeking to round out their Lawrence Scott collections, eager for his latest since Light Falling on Bamboo; readers of Oonya Kempadoo, Anton Nimblett and Elizabeth Walcott-Hackshaw; literature lovers who appreciate elegant prose marriages of the sacred and the secular.